On Thursday morning, a half hour before the first practice of training camp, the Eagles announced they they have placed Brandon Graham, Alshon Jeffery, and Chris Maragos on the PUP (physically unable to perform) list. They also placed Timmy Jernigan and Bryce Treggs on the NFI (non-football injury) list. The PUP list is a tool teams use for players prior to the start of training camp, in case the player is not ready for the start of the regular season. The PUP list must be applied to a player prior to the start of training camp, or it cannot be used at all. Once a player practices in camp, at all, they immediately become ineligible for the PUP list both during the preseason and the regular season. The player cannot participate in practice while on the PUP list. A short explanation of the NFI (non-football injury) list is that it essentially functions the same way as the PUP list, but is reserved for players who were injured outside of normal team activities. 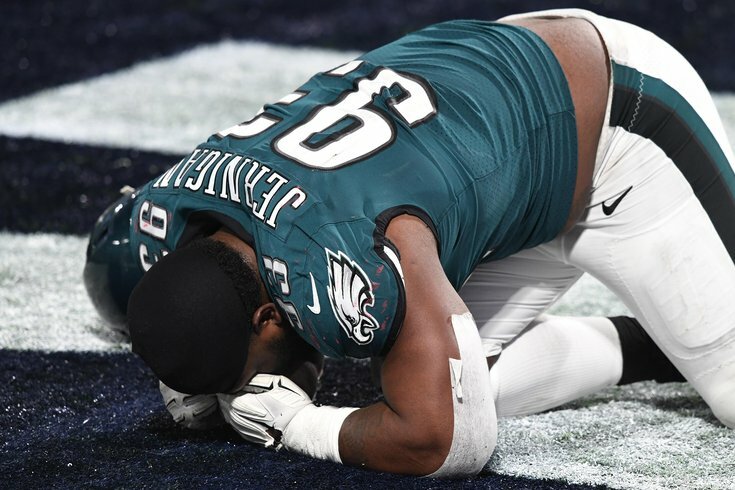 • DE Brandon Graham: It was revealed by Tim McManus of ESPN that Graham had surgery for an ankle injury suffered late in the Eagles' regular season. The hope was that Graham would be ready for the start of camp, but that is obviously not the case. • WR Alshon Jeffery: Jeffery played the entire 2017 season with a torn rotator cuff, and had surgery to repair it after the season. He missed all of spring practices, but should be ready to go for the regular season. • S Chris Maragos: Maragos suffered a season-ending knee injury Week 6 against the Panthers last season. The progress of his recovery is presently unknown (by me, anyway). He did not practice at all during the spring. • WR Bryce Treggs: I have no idea what happened with Treggs. Doug Pederson will almost certainly be asked after him this afternoon. Notably, QB Carson Wentz, LT Jason Peters, and LB Jordan Hicks avoided missing any time during training camp.